Baseball is a unique sport, relying more on skill and dexterity than physical strength. 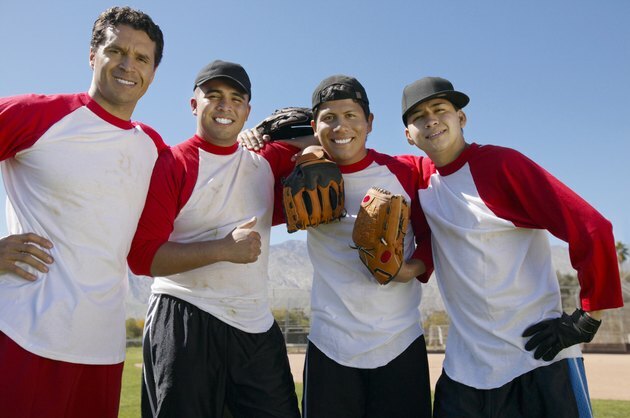 Due to their sport’s specific demands, baseball players use different muscles than other athletes. They don’t need the big, bulky upper body of football players or even the extensive lower-body development of hockey players. The most important muscles for a baseball player may depend largely on the position he plays, but a few muscle groups remain important across the board. All baseball players, regardless of position, need to focus on the core muscles of the abdomen, trunk and hips. Swinging the bat requires significant strength and twisting throughout the entire core. A weak abdomen not only can affect performance, but also lead to potential muscle pulls and strains that, due to the sport’s demands, may take several weeks to mend. Even pitchers should build strong cores to help transition power from the lower body to the arm when throwing. Standard situps, abdominal crunches and various yoga poses can help enhance core strength. Pitchers, in particular, need powerful calves and thighs to generate power off the mound. Strong legs translate to improved velocity on pitches. Even hitters need strong legs to create power at the plate, with sturdy legs and a sound base resulting in improved hip rotation and bat speed. Hitters also need strong legs for speed around the bases and in the field. Squats, lunges and plyometric training can help keep the legs in top baseball shape. While many fans equate big biceps with towering home runs, baseball’s premier sluggers get most of their power from strong forearms and wrists, not massive upper arms. Strong wrists provide improved bat control and create whip action through the hitting zone, resulting in more home-run potential. Pitchers also benefit from strong forearms and wrists, which allow them to grip the ball better and execute pitches with precision. Performing wrist dumbbell curls and simply squeezing hand grippers or other wrist balls will improve forearm strength. The repetitive stress of pitching places a burden on the shoulder joint and surrounding muscles. 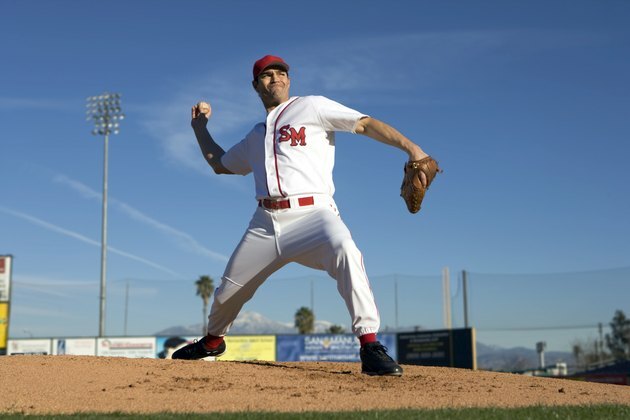 One way for pitchers to avoid injury is to keep the shoulder as strong as possible. Catchers and most fielders, with the possible exception of first basemen, need strong shoulders to keep their throwing arms lively and accurate. Behind-the-neck barbell presses, military presses and standard pushups can help enhance shoulder strength.